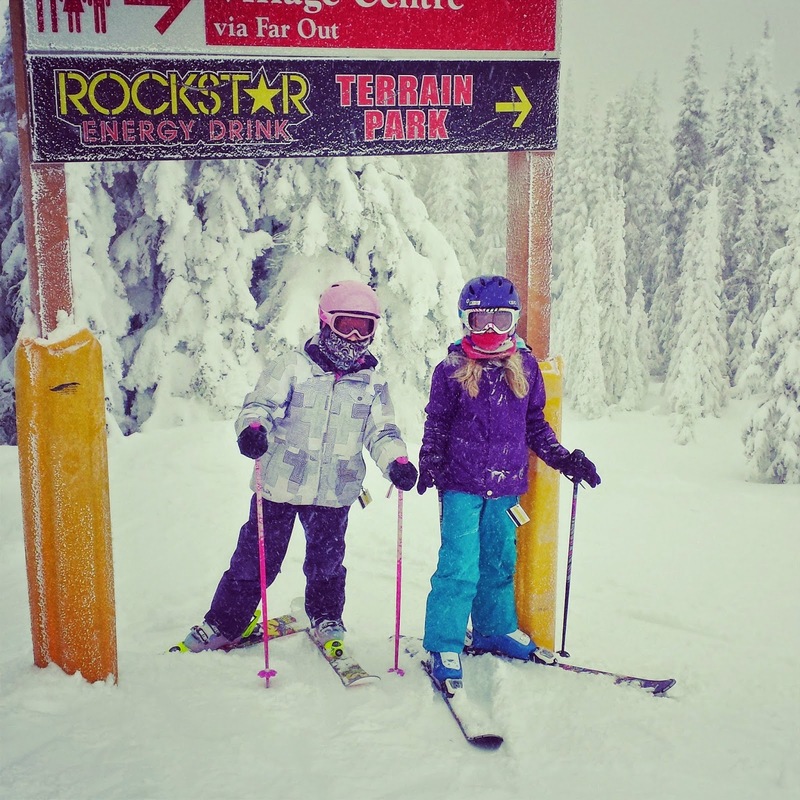 Today was the second time that Vic and I made it up to Silver Star and the first time for the kids this season. Fynn took a lesson and Sophie skied with us for a bit and then her friend Hunter caught up with her and they skied on some trails (the kids like trails much more than I do -- too bumpy and full of trees). Fynn did great in his lesson in the Snow Rangers level. He was told by his instructor that he can advance up to the Trail Blazers. Fynn can now confidently ride the chairlift safely, control his speed on green runs and ski green runs with independence. He has Sophie's old poles now so in his next lesson he can start using those. Good on Fynn! Speaking of Fynn - hockey is on a break now for two weeks. He really has enjoyed the season. We watched his game down in Lumby on Saturday. The game was 3-0 for the other team, when Fynn scored a goal! And then he scored again!! I think the goalie wasn't expecting Fynn - he might be smaller, but he's quick.